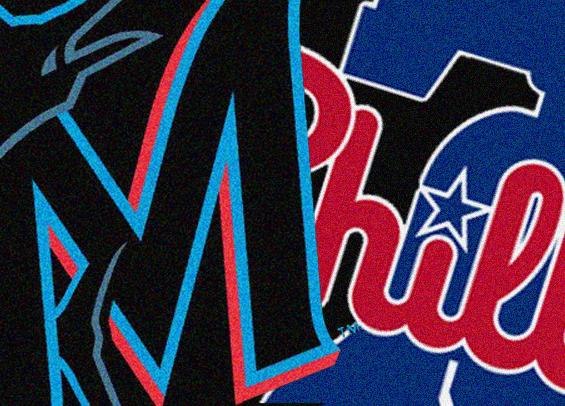 The Phillies have a chance this weekend to bounce back after a tough few games with a three-game set down in Miami against the woeful Marlins. The Phils were clobbered on Wednesday by the Nationals, 15-1. This stretch right now is imperative for the Phillies as they play 24 of their first 33 games against division rivals in the NL East. The Mets, who visit Citizens Bank Park, are tied with the Phils and Nats for first place, making this weekend's set in Miami all that more important. Given the toughness of this division, the Phillies need to take advantage of winnable games and this weekend - even on the road - it would be a disappointment to not win at least two-of-three. Jake Arrieta will start the opener tonight. He tossed seven innings on Saturday in a loss to the Twins and is carrying a 2.77 ERA into the series opener. He'll be opposed by young righty Sandy Alcantara who is a flame-thrower but has dealt with command issues in his first two starts to open the season. The Phillies optioned Edubray Ramos to Triple-A Lehigh Valley on Thursday and today announced right-hander Victor Arano has been recalled to join the bullpen. Arano had seven strikeouts over four scoreless innings while opening the season with the IronPigs. Miami was outscored 23-1 in their three-game sweep by Cincinnati. In 13 games this season the Marlins are averaging just 2.6 runs per game, the second worst mark in all of baseball.